Thrifty and Frugal Living: Tijuana Flats: 50% OFF for Nurses on Monday May 6th! 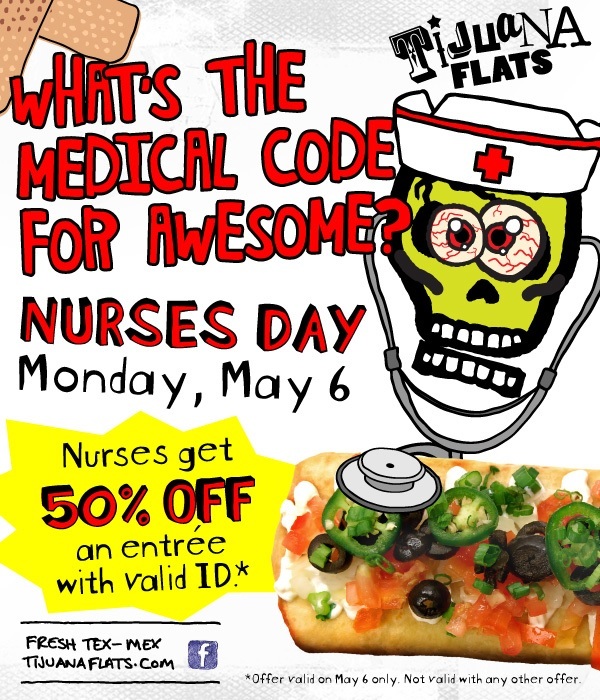 Tijuana Flats: 50% OFF for Nurses on Monday May 6th! Sign up to be a Tijuana Flats Flathead to receive all their promotional emails even if you aren't a nurse. They have also had promos for teachers and they often have BOGO for everyone with coupon on certain dates. I am going to pass this on to all of my nurse friends.